Anthropocene refers to our current geological time, which scientists call the Holocene era (beginning some 11,700 years ago), characterised by the receding of glaciers and the formation of today’s topography. 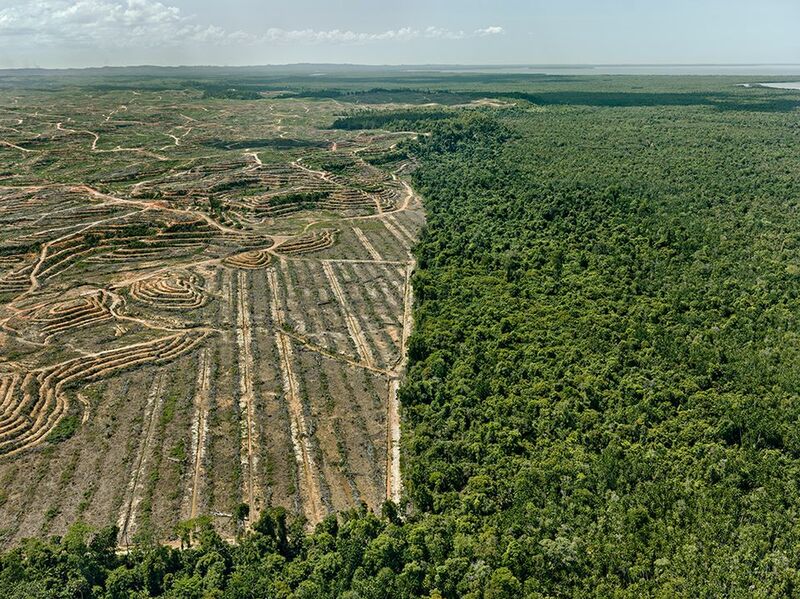 The filmmakers and some scientists prefer the term Anthropocene because it stresses that the crucial determining influence on the earth is now human. This is a film of staggering visual power and bewildering beauty, the third part of a trilogy by the director Jennifer Baichwal, the cinematographer Nicholas de Pensier and the photographer Edward Burtynsky. The project revealed a signature style from the first film in the trilogy, Manufactured Landscapes (2006), which drew largely on Burtynsky’s photographs, expanding his large-format images to an exponential degree. Those images are topographical views of the earth from a high enough altitude to observe the demarcation between landscapes that are natural (undeveloped) and those that are man-made by mining, irrigation, deforestation, or waste. That wide-angle approach has a tactile side, focusing on humans adapting to those manmade environments, although the images of survival are far less beguiling than graceful aerial footage. 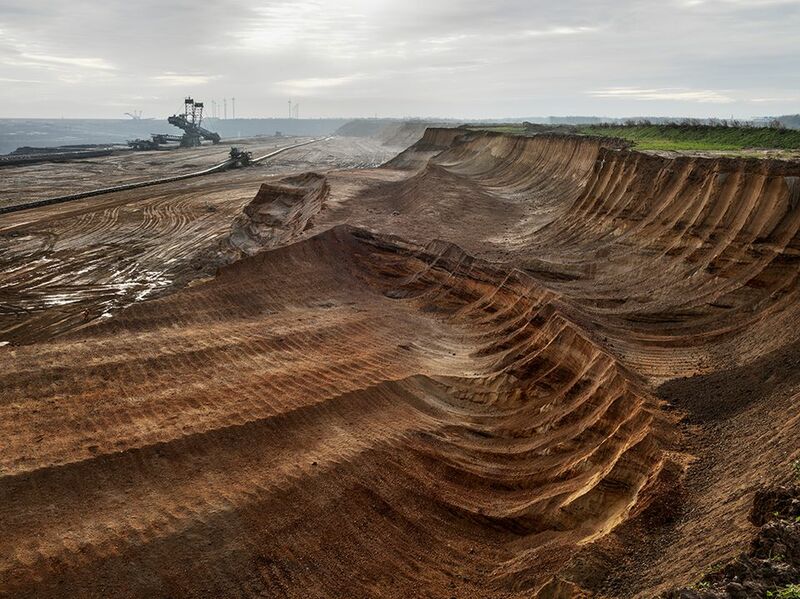 In Anthropocene, those topographical shots share the screen with a scrutiny of modern technology that seems drawn from science fiction—like the world’s largest digging machine in Hambach Germany which displaces once-inhabited land like a mechanical Tyranosaurus Rex. The film also visits Russia’s most polluted city, north of the Arctic Circle and atop rich deposits of nickel, where residents die ten years earlier than other Russians do. 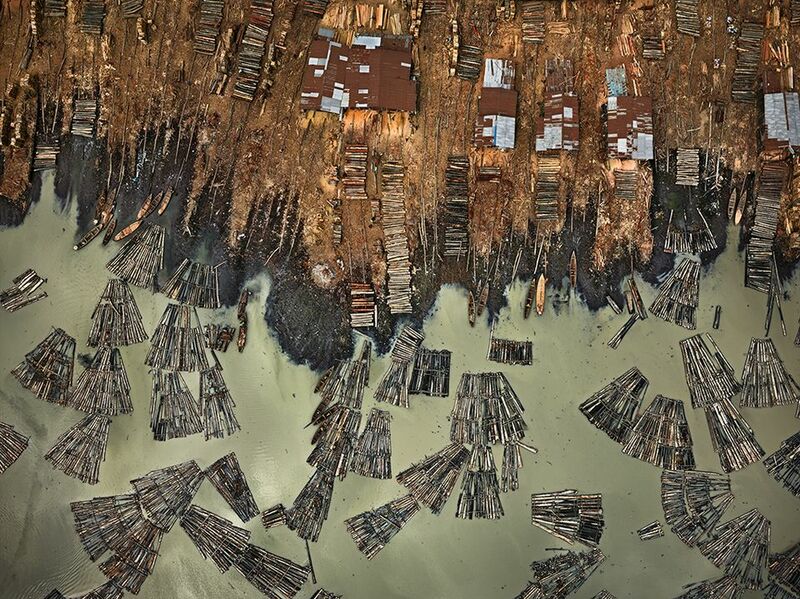 Even by the standards of these film-makers, the ever-expanding scale of Lagos Nigeria feels infinite, especially in its harbour, where hardwood emptied from shrinking Nigerian forests is being chopped apart. The camera ranges through labyrinths of water and wood, with women and children scavenging sawdust and splinters — Hieronymous Bosch meets the Myth of Sisyphus. From the air, some landscapes seemed modelled after works of art. The marble quarries of Carrara, in Italy, are a monochromatic walls of squares hacked out of a hillside — a vast study in abstraction, or absence. Pastel-toned industrial ponds where lithium is collected for batteries in the dry Atacama Desert in Chile could be a massive installation by Ellsworth Kelly. Vast stretches of white phosphate in Florida look like thick impasto. In none of these cases does the dramatic aesthetic of human transformation enhance human life. Filmmakers have attempted operatic evocations of the earth in its splendour and squalour, with Koyanisquatsi (1982) set to the throbbings of Philip Glass and William Klein’s jaundiced millennial Messiah (1999) set tongue-in-cheek to Handel. Upending the visual vocabulary of the nature film made popular by National Geographic and others, Anthropocene explores whether art in the hands of a photographer and film-makers can advance the understanding of science. 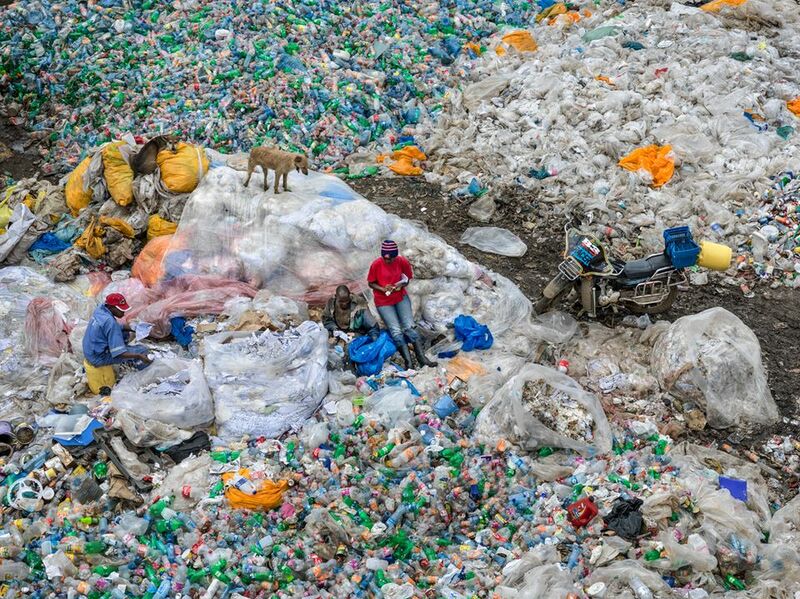 For all its visual bravura, Anthropocene’s polemic for stewardship is more reasoned than shrill. It is not a film made for scientists, but scientists will have a hard time rebutting the evidence that it offers in every frame. • Anthropocene: The Human Epoch, by Jennifer Baichwal, Nicholas de Pencier, Edward Burtynsky, with Alicia Vikander, 87min. Following Sundance, US distribution rights were acquired by Kino Lorber and the digital streaming service Kanopy, and the documentary is being screened at the Berlin International Film Festival this week.